Charcoal grill ovens are easily incorporated into the restaurant kitchen area. If the restaurant wants to offer meat and other properly grilled dishes, Kopaoven charcoal grill is one of the best options one can choose from. With Kopaoven grill, food prepared on the grill will taste just delicious, due to the great smoky aroma that is provided by Kopaoven grill. 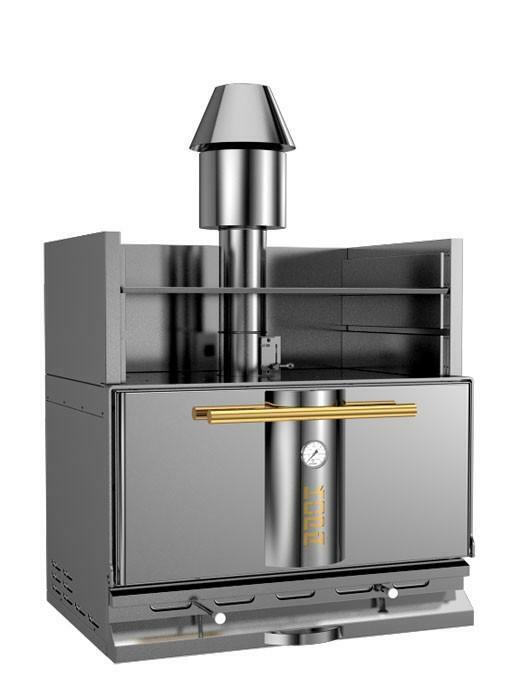 Kopa combines a grill with a charcoal oven to make it possible to prepare many different dishes. Consequently, Kopaoven grill is not only suitable for cooking meat and fish but is also suitable for preparing vegetables pizzas and even for cooking different side dishes. One of many benefits of Kopa grill oven is low running costs, as well as efficient use and low costs of charcoal. Quality design of the oven makes it appropriate for use in plain sight of customers, nevertheless, Kopaoven grill can also be incorporated in any kitchen due to the variety of colours Kopaoven grill can be manufactured in. Additionally, Kopaoven grill is easily operated due to the user-friendly system, which provides order, safety and efficiency when cooking. With Kopaoven grill, cooking process will become even more organized and quicker. The use of grill ovens is quick, simple and reliable. Furthermore, the oven will assure better and more flexible cooking conditions in the kitchen. Warming up time is quick and takes only around 30 minutes. This time is perfect for preparing the ingredients we will be cooking with or to get the meat ready for grilling. Even after lunch, the oven can be put on standby and relit for dinner. The heat in the oven is easily regulated, which gives the cook even more control about grilling different types of food which can now be grilled to perfection. Investing in Kopa charcoal oven will reduce the tension in the kitchen and will ease the cooking process, which will become quicker and more efficient. In a busy kitchen with long working hours, opening and closing the oven door is not just a detail. In Kopa, special systems were developed that allows the cook quicker and more safe using of the grill.